Location, Location, Location. 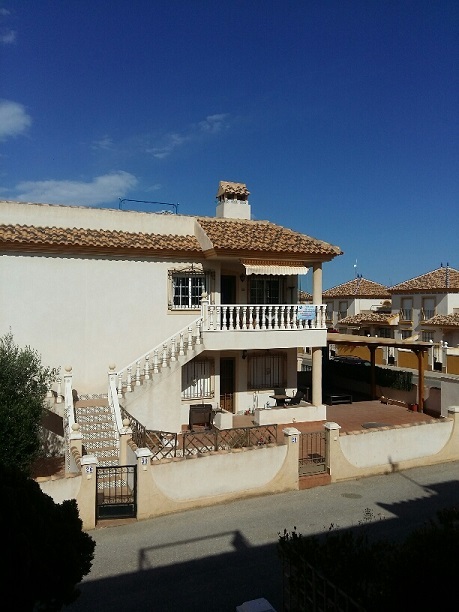 A superbly presented corner plot 2 bedroom first floor Quad Bungalow property only a 10 minute walk from the famous Villamartin Plaza with all its bars, restaurants and shops and only a 10 minute drive to the wonderful beaches of the Med. 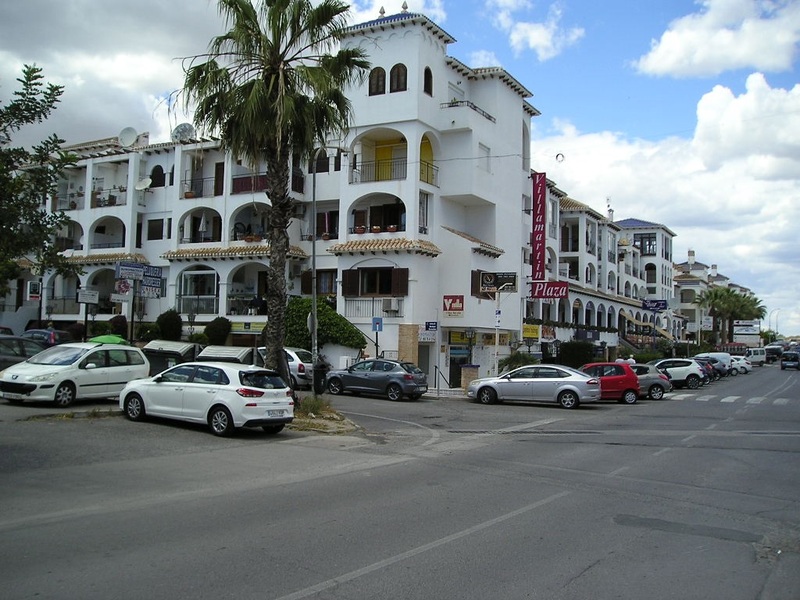 The superb La Zenia shopping centre is only a few minutes drive away. Entering from the sunny outside terrace area, which has glass curtains on one side and faces both south and west, you enter the lounge. 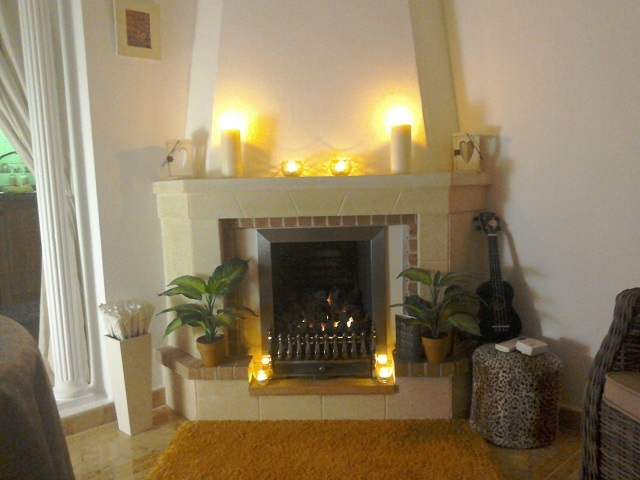 The lounge benefits from air conditioning and a living flame real gas fire for those cooler winter months. 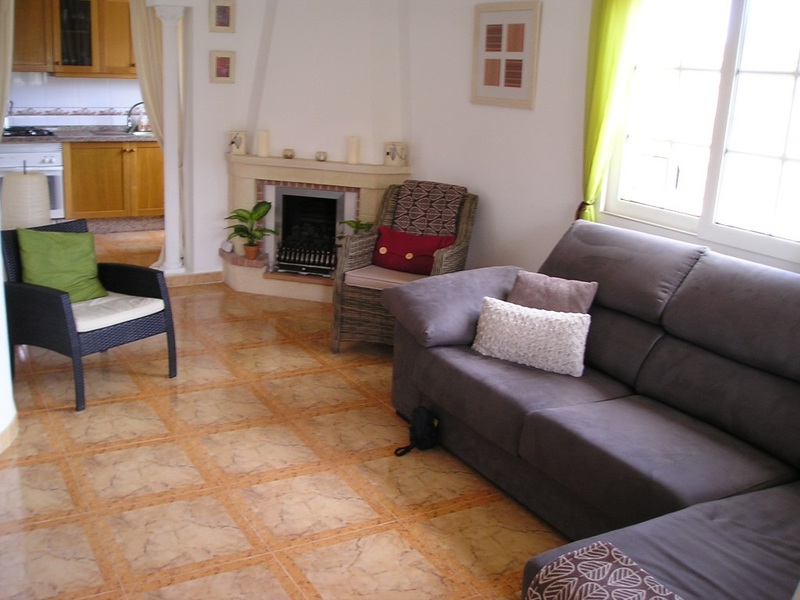 UK television is already installed and working and the floor tiles are very attractive indeed. 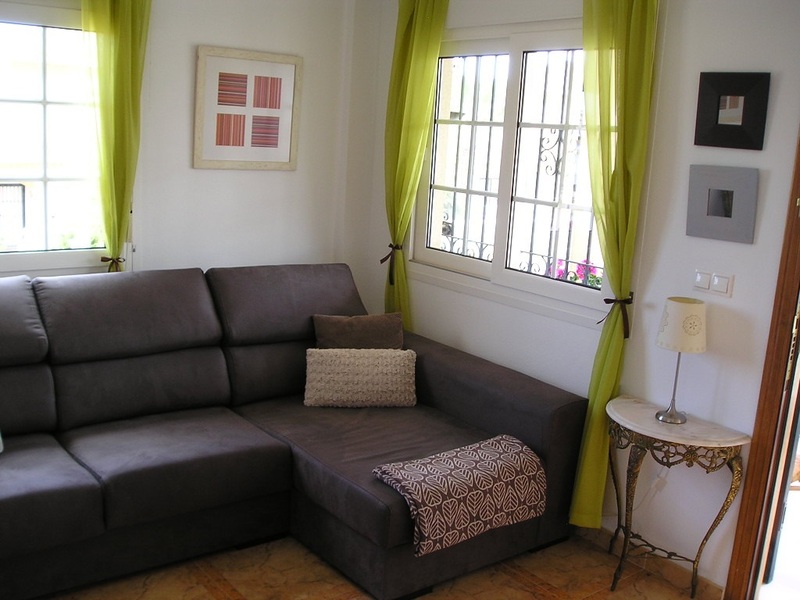 The whole property is decorated to a very high standard. 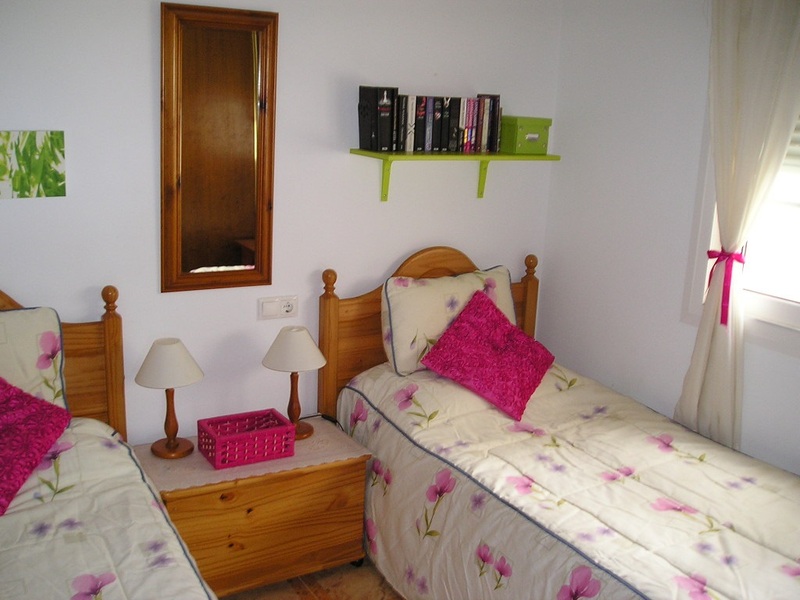 There are two bedrooms with ceiling fans and fitted wardrobes and the family bathroom. 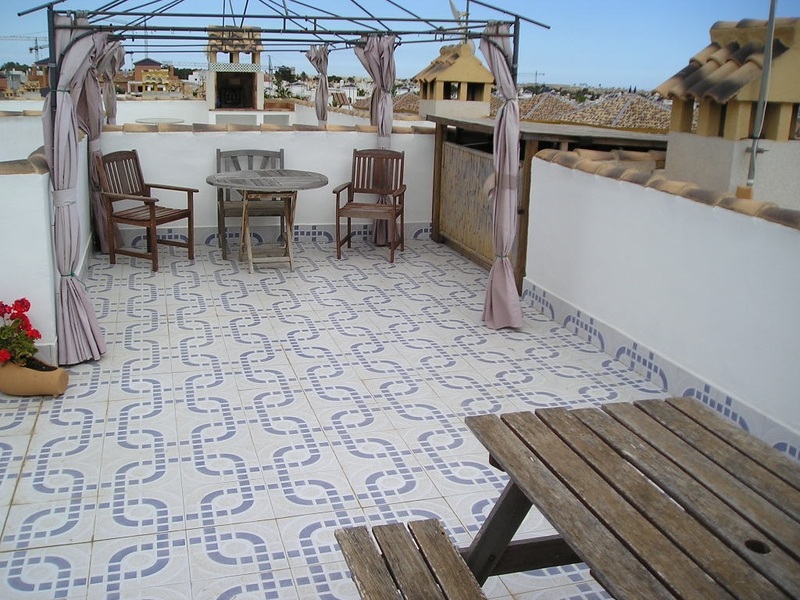 The bathroom has a bath with overhead shower, bidet, toilet and hand basin and is nicely decorated with attractive ceramic tiles. 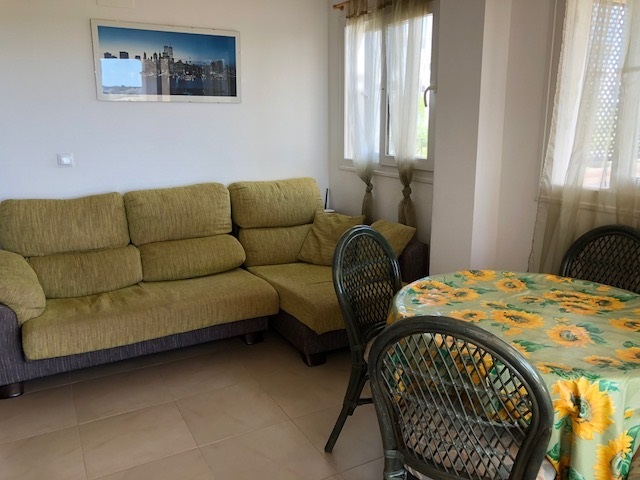 From the lounge under a very tasteful arch is the fully appointed kitchen which has a water filtration system fitted for an endless supply of fresh drinking water and from there a back door leads you upstairs to the large solarium. 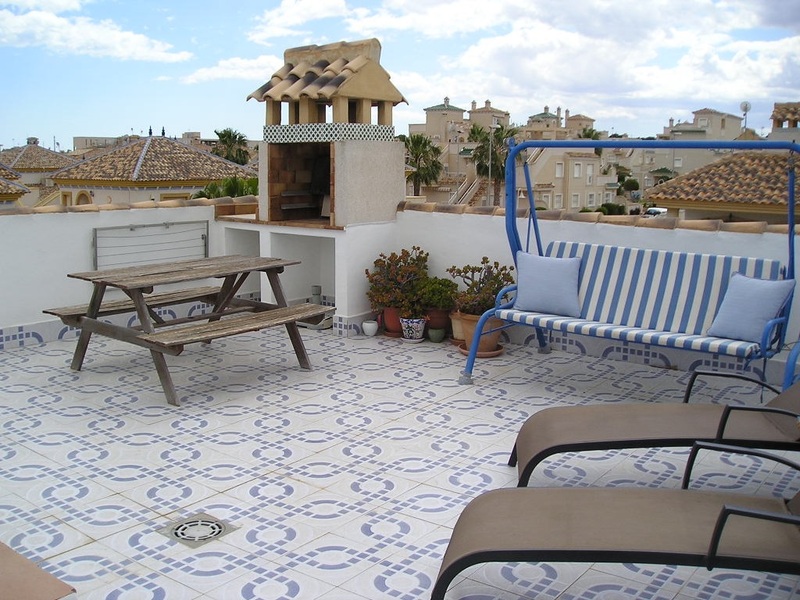 From here you have marvellous views to the mountains on one side and to the sea on the other. 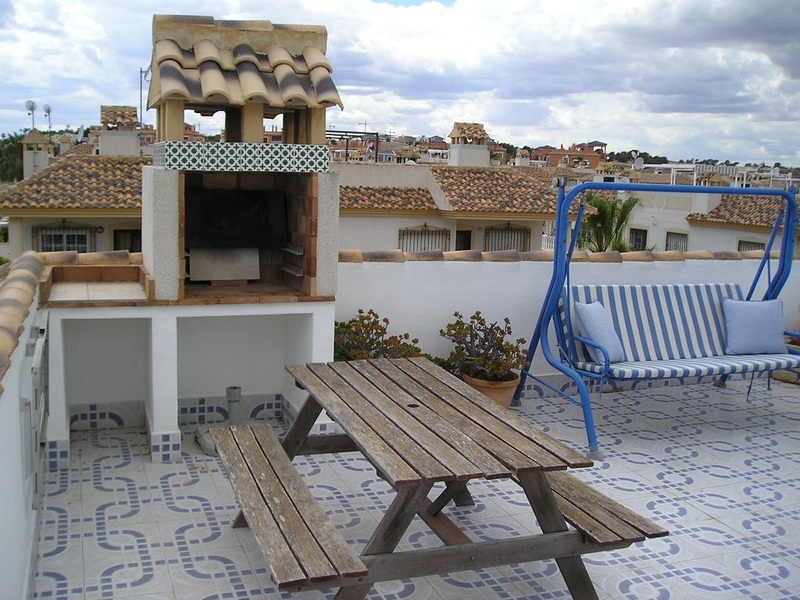 There is a built in BBQ and garden furniture on the rooftop solarium for you to enjoy the best of the Spanish weather. On this level there is also a shed for extra storage. 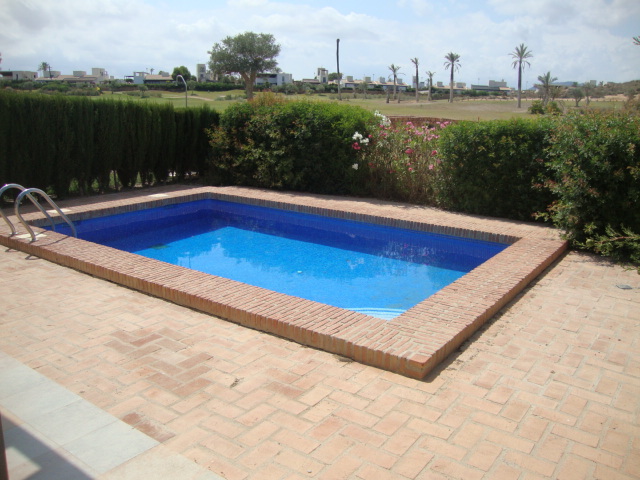 Just around the corner, a very short walk away, is the large communal pool and relaxation area. The property also benefits from a new mains gas boiler which saves a lot of money on heating your water. You will not find a better presented property at this price and early viewing is highly recommended. 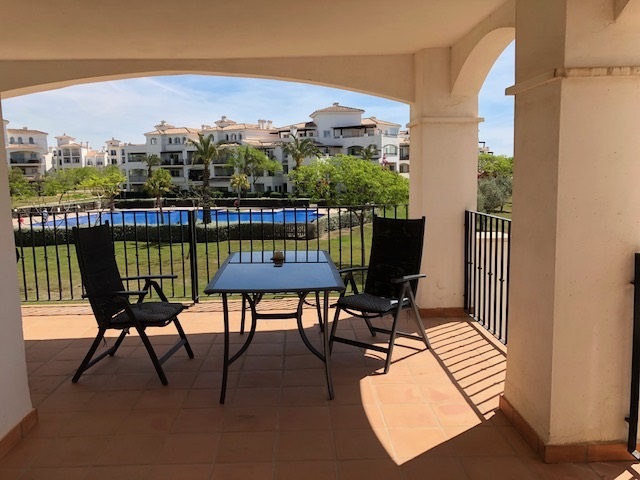 A fantastic two bedroom first floor apartment situated on the stunning and ever popular Hacienda Golf Resort near Sucina in Murcia. 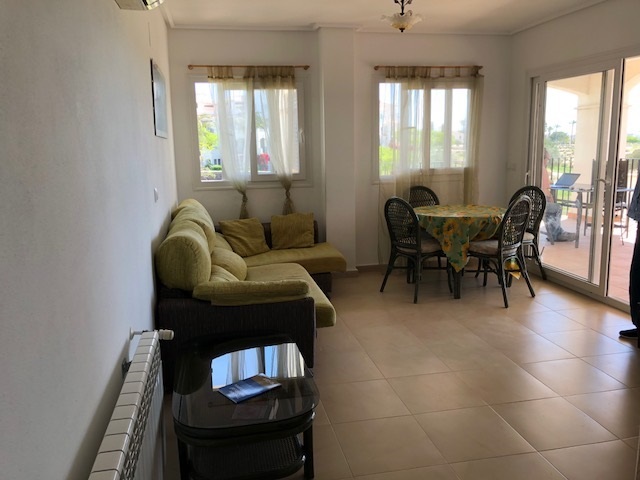 This lovely apartment is located very close to the club house and town centre which has a superb bar and restaurants plus a 7 day Spar supermarket. 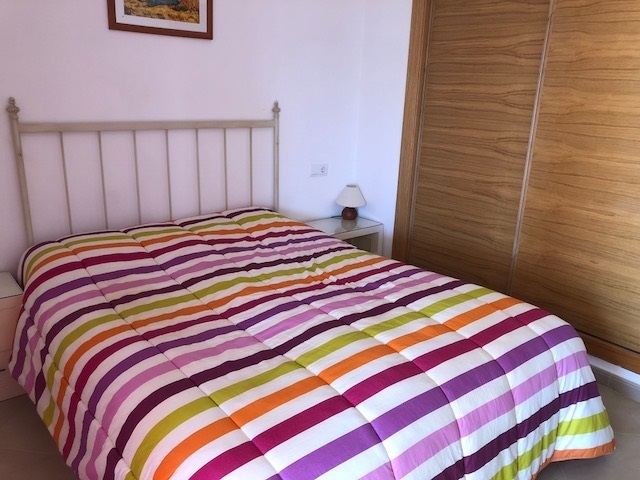 The apartment has gas fired central heating for those cooler winter months and air conditioning to deal with the glorious heat of the long summers. 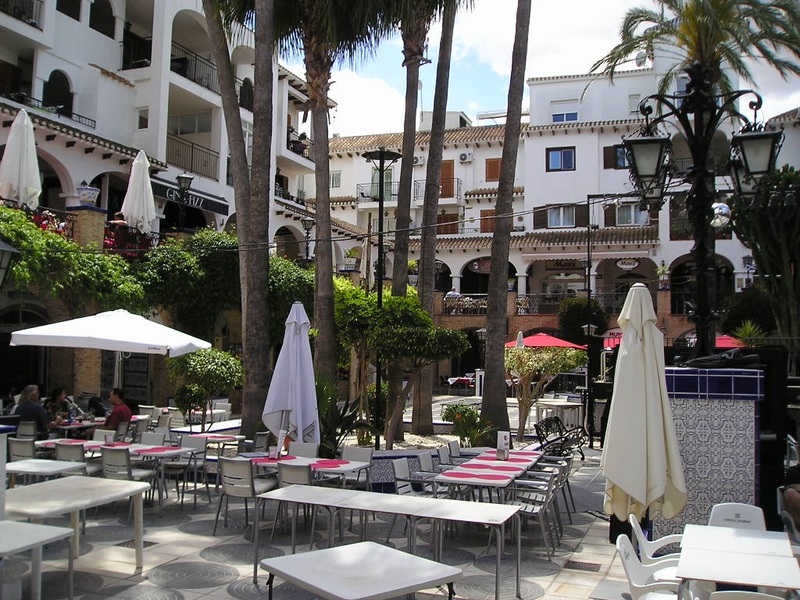 The large L shaped terrace is great for for dining or just relaxing and watching the world go by. 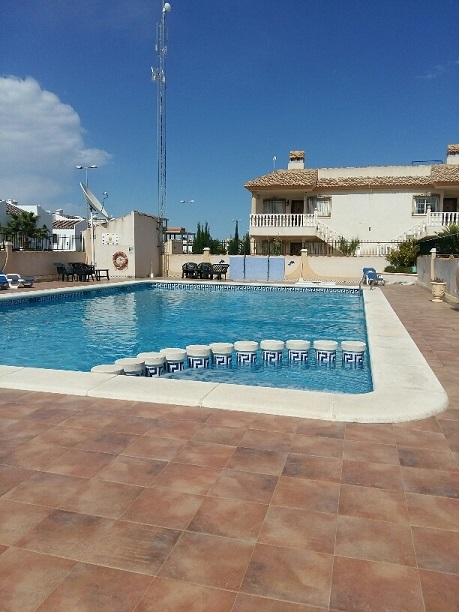 The apartment is only a 20 min drive from the lovely beaches of the Mar Menor and the Med. Murcia airport is about 15 - 20 mins away. 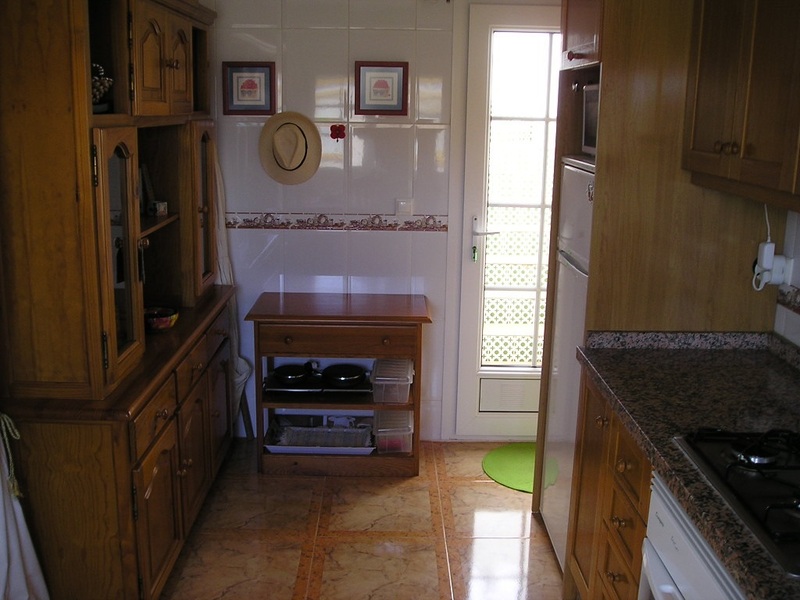 There is also an excellent potential rental income possibility with this property. 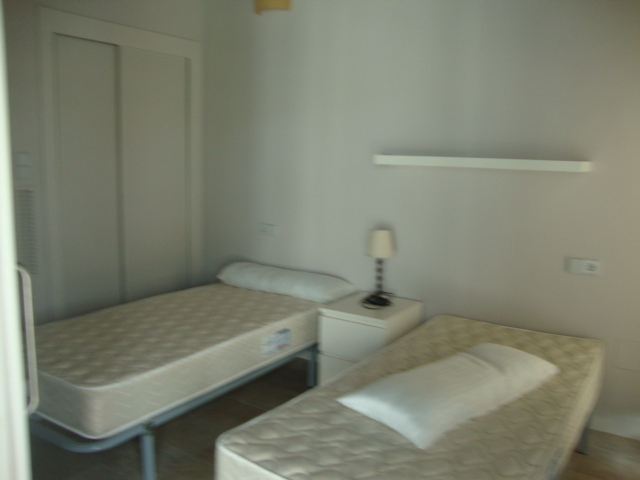 There is 24 hour security for your peace of mind and an underground secure parking space allocated to the apartment. 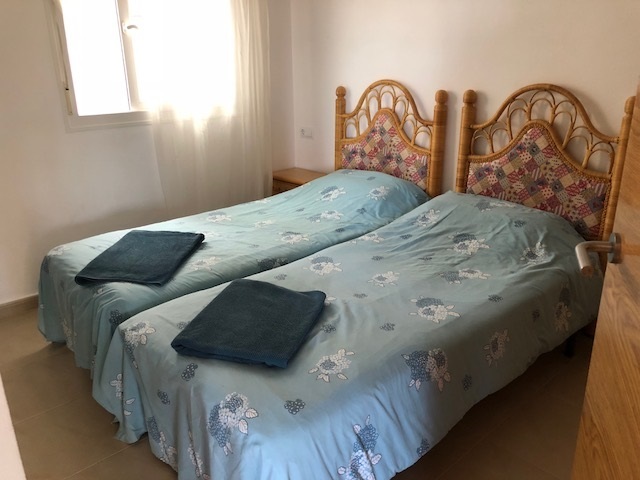 From Hacienda Riquelme it is only 20 mins drive to Los Alcazares, which has a fantastic coastline with over 7 kms of sandy beaches which give direct access to the warm waters of the Mar Menor. 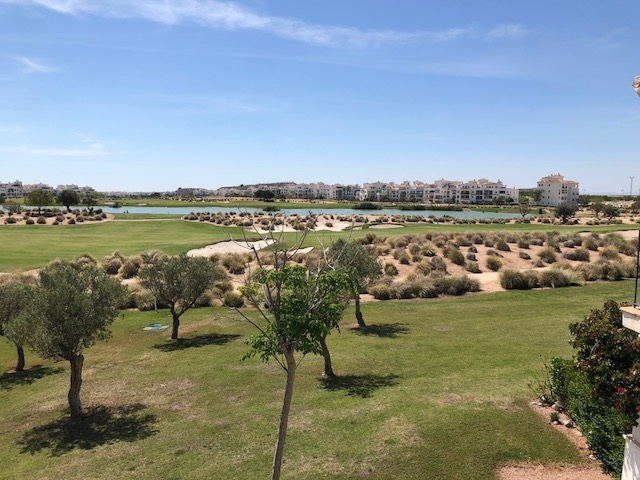 Hacienda Riquelme Golf Resort forms part of the Jack Nicklaus golf trail. The 18 hole, par 72 course includes 5 lakes and it's greens are well protected by bunkers to make your game interesting! 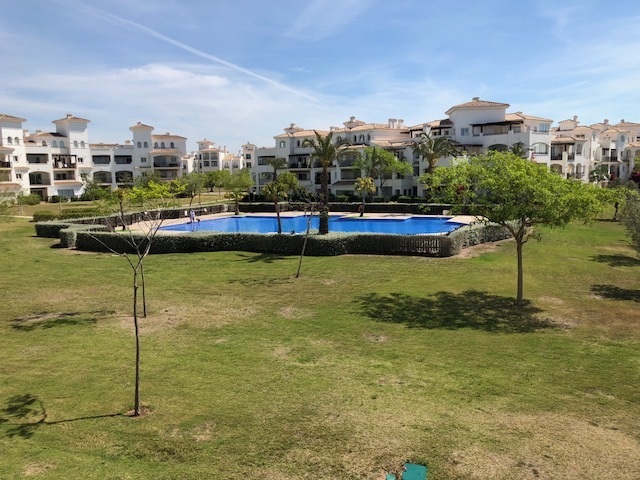 For those with interests other than golf, the apartments are ideally situated whether you prefer to laze by one of the pools or swim in the nearby warm waters of the Mar Menor with its beautiful beaches. 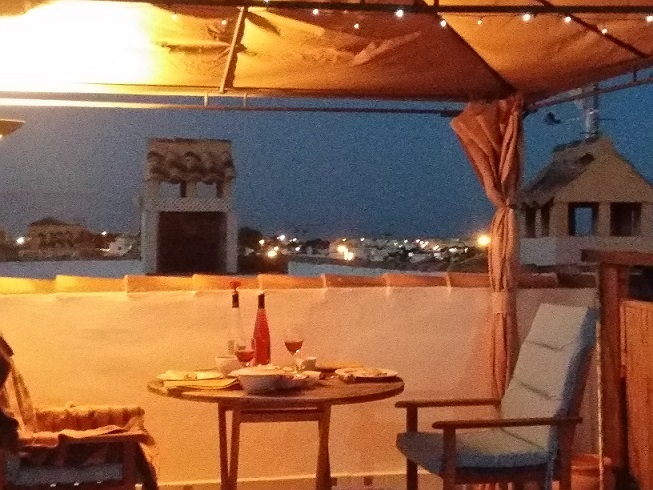 For those who like historical buildings, architecture or a desire to shop, the lovely cities of Murcia and Cartagena are less than 30 mins away. 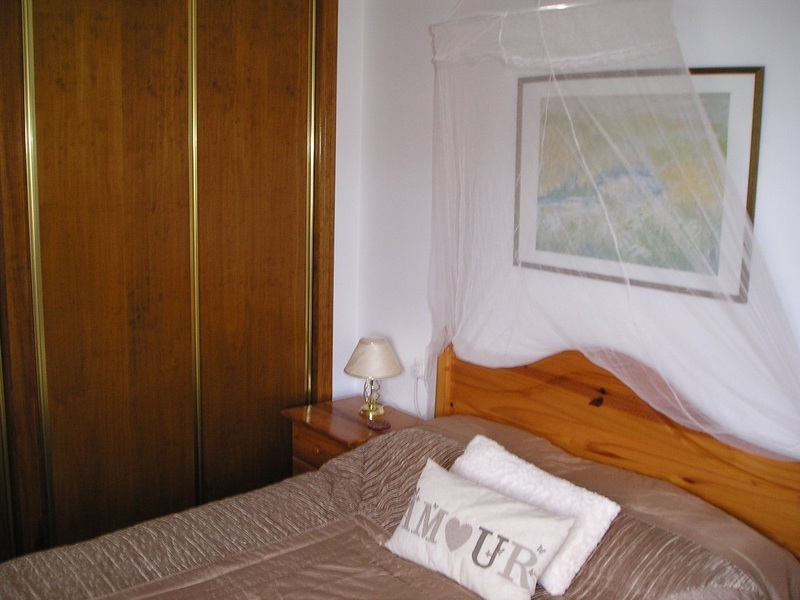 The Murcia region is rich in nature reserves and is ideal for those who like to explore. 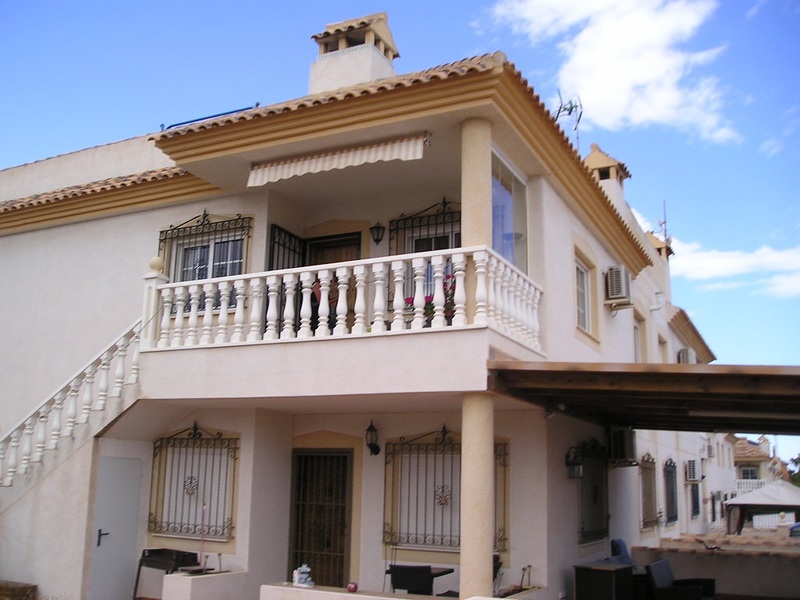 Buy Property in the Mar Menor area of Murcia Spain. The whole area is a Mecca for golfers with half a dozen top class courses within a 15 minute drive. 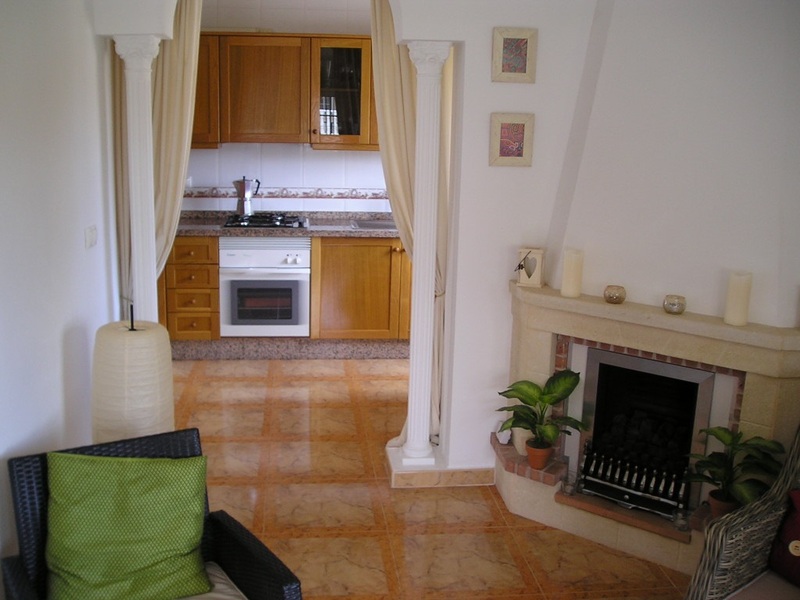 We have the largest selection of luxury villas at Hacienda Riquelme Golf Resort - for lists please contact us for details. 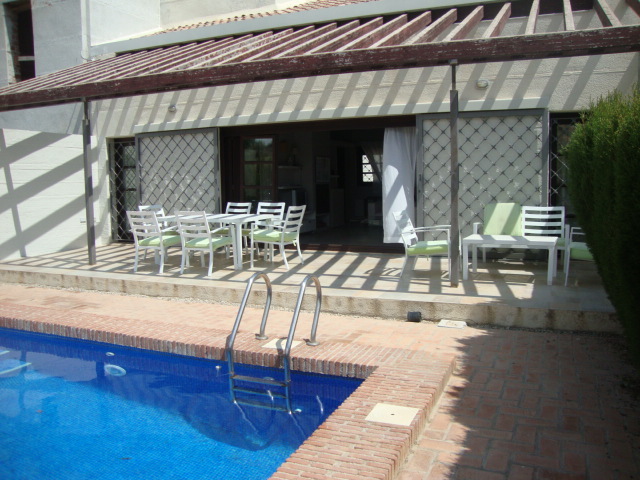 PERALEJA GOLF RESORT, Sucina Murcia 2 bedroom 2 bathroom luxury villa for sale Murcia. 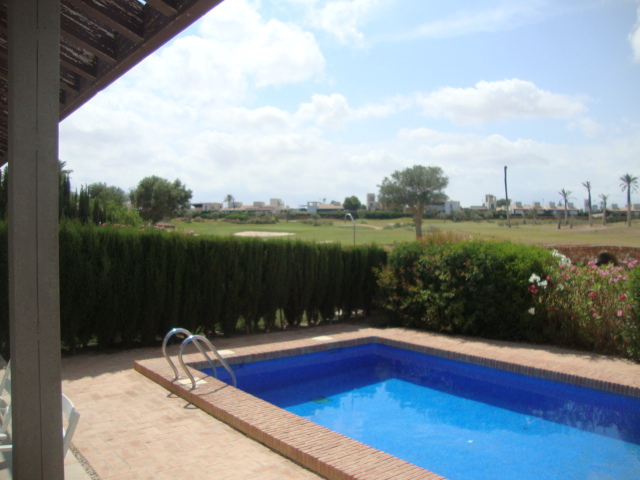 SUPERB VILLA ON ONE OF THE BEST GOLF COURSES IN MURCIA. BEAUTIFUL PRIVATE POOL AND GARDEN. 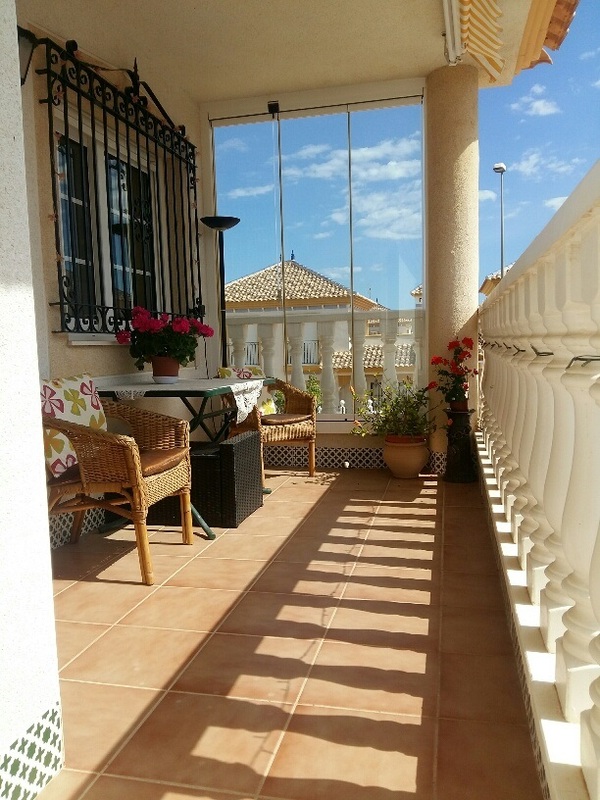 ONLY A 20 MIN DRIVE TO THE LOVELY BEACHES OF THE MAR MENOR. 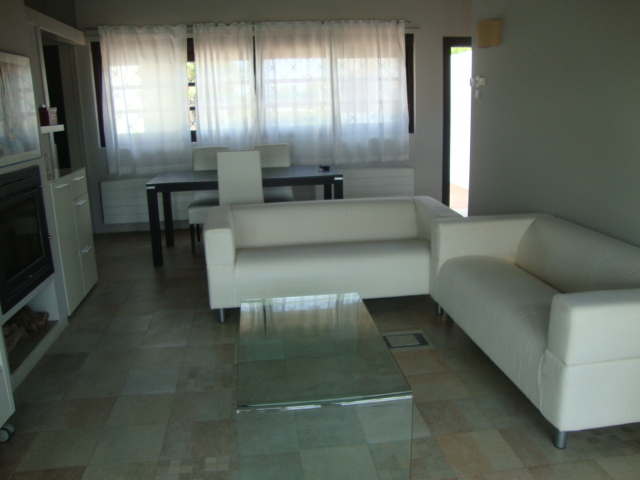 15 MINS SAN JAVIER AIRPORT. 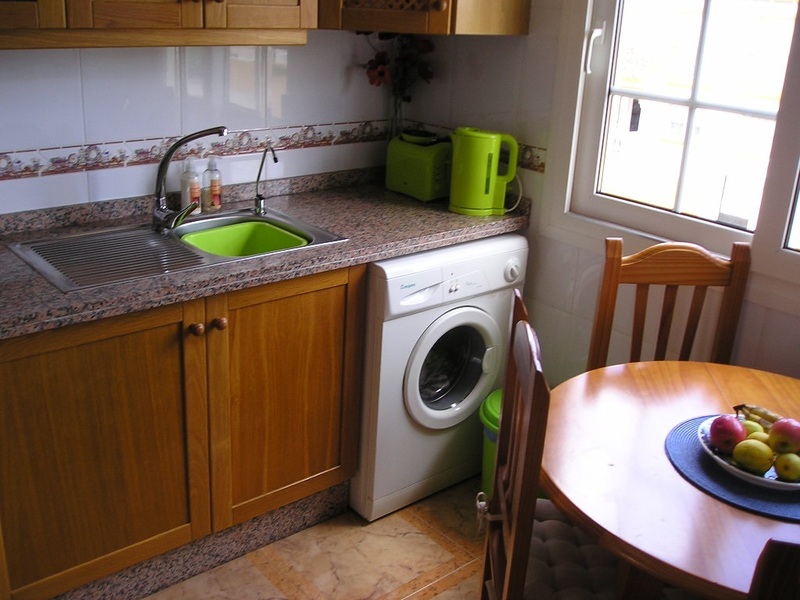 UNFURNISHED BUT HAS WHITE GOODS. OVERLOOKING THE 7th GREEN - SIMPLY A SUPERB BUY!!! 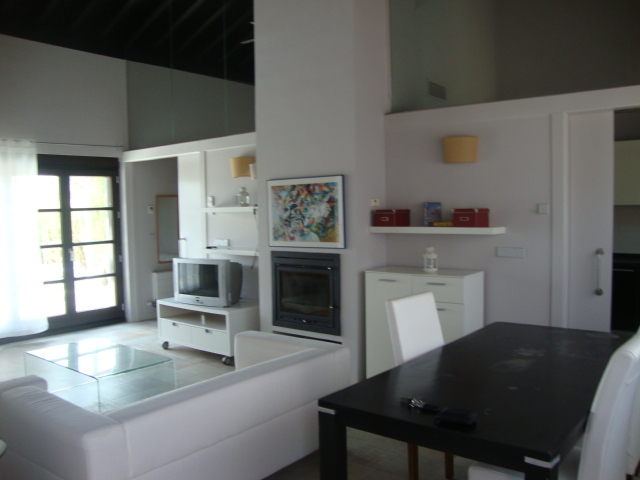 This fantastic modern front line villa situated overlooking the 7th hole. 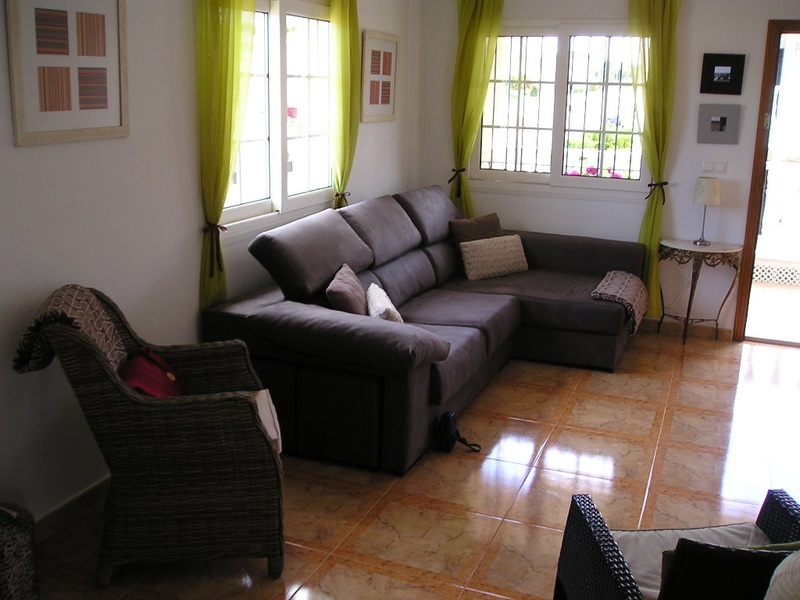 This is a contemporary designed two bedroom villa with beautiful high wooden ceilings. It has a large open plan lounge/dining room which also has a wood burner which makes it ideal for either summer or winter. 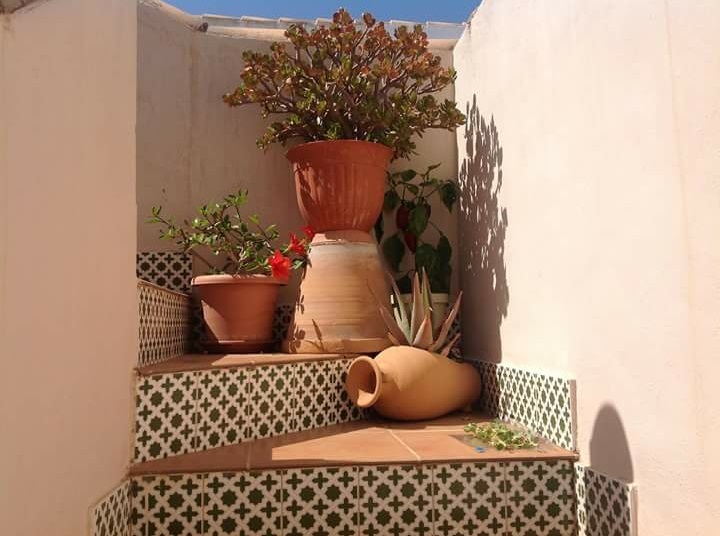 It has large concertina doors leading direct to the outside tiled terrace which overlooks the private pool and garden area. 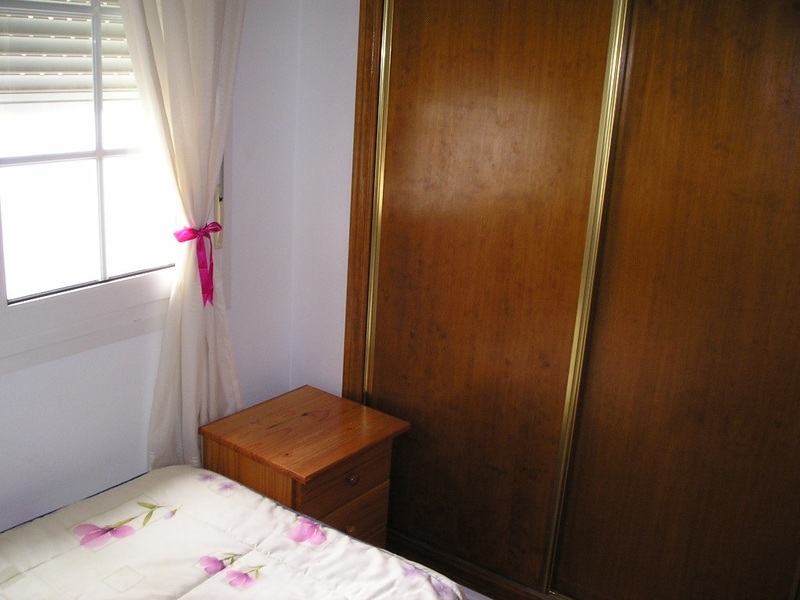 Both the bedrooms have built in wardrobes. 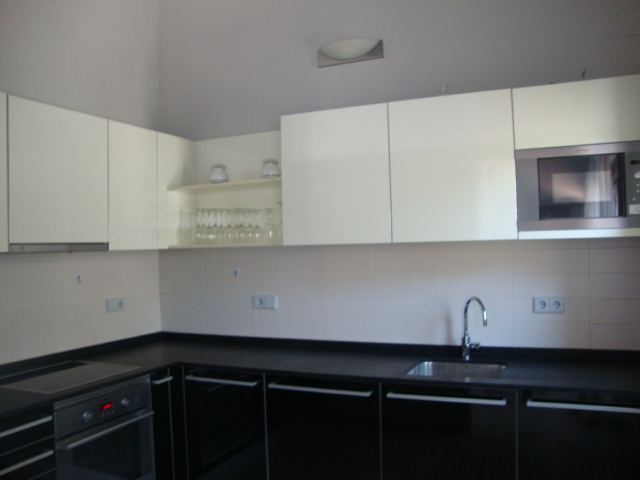 The kitchen is very stylish and has good quality appliances fitted. 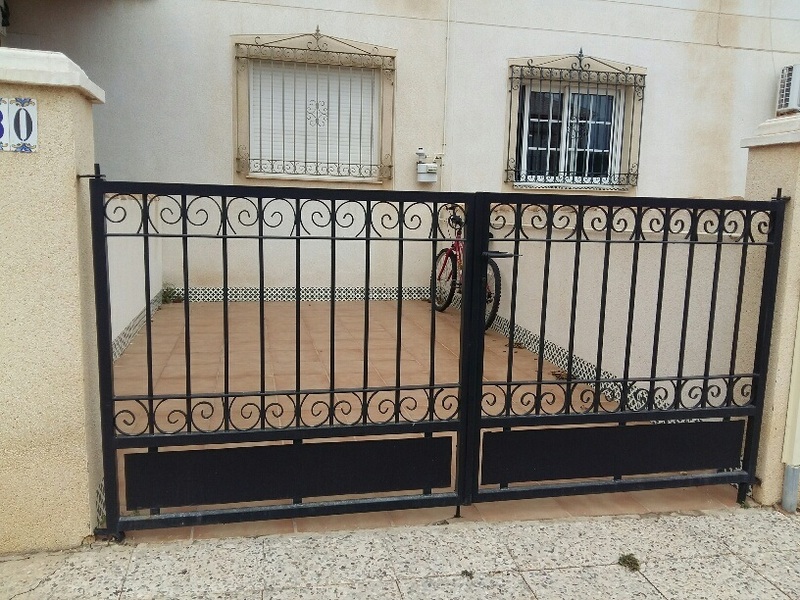 At the front of the villa there is a carport with an electric entrance gate. The attractive garden is low maintenance. 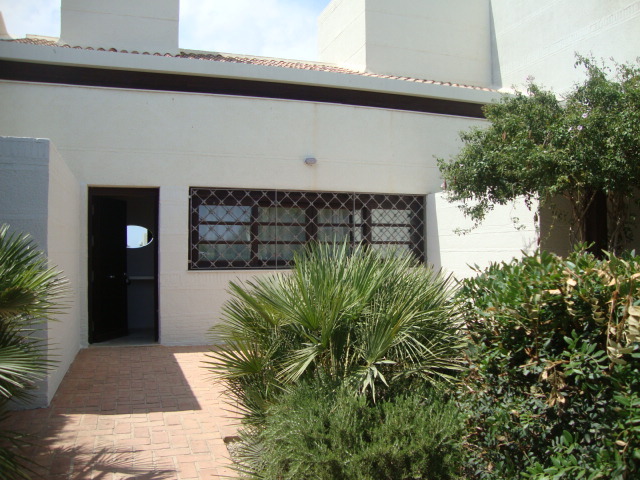 This villa has excellent rental potential Buy Property in the Mar Menor area of Murcia Spain. 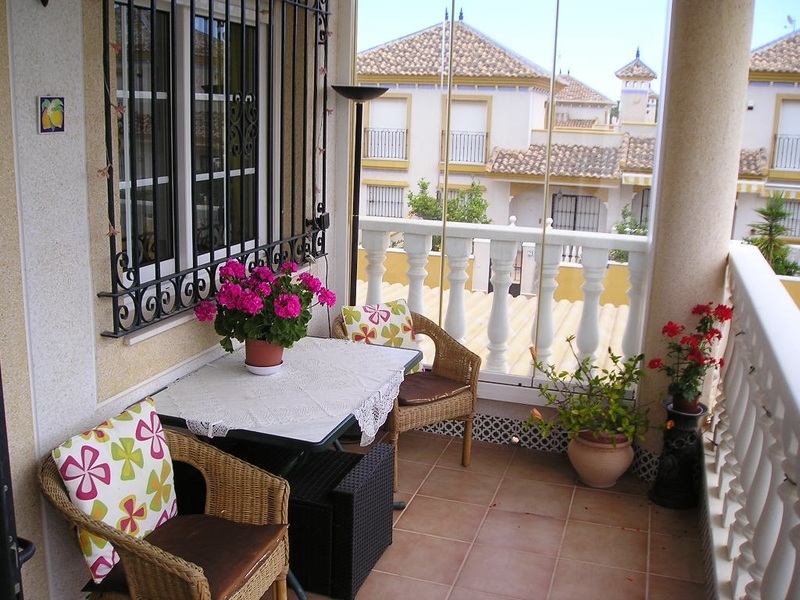 Lovely END OF TERRACE townhouse with south facing rear terrace leading to lovely communal gardens and swimming pool. 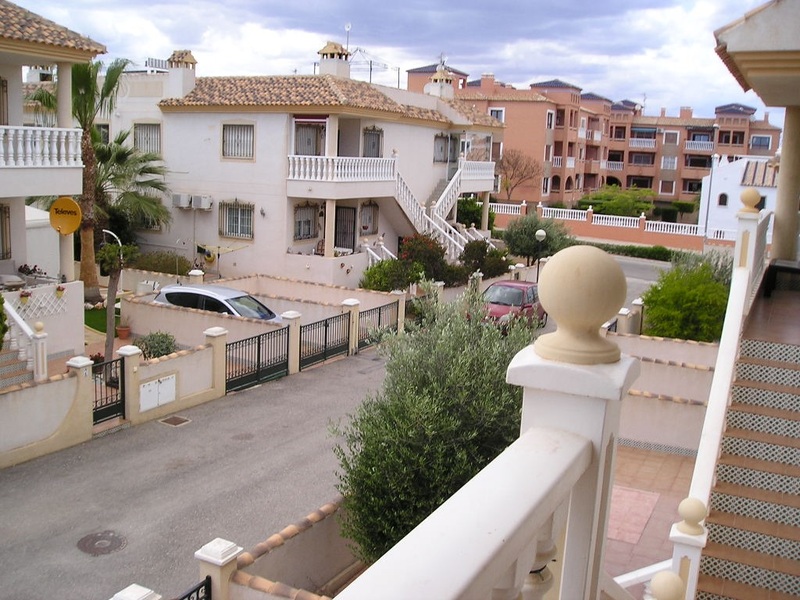 This 2 bedroom and 2 bathroon townhouse is on the ever popular Roda Golf and Beach Resort which is only a few minutes drive from Los Alcazares. Amazing golf course, golf clubhouse and restaurant plus 24 hour security. Entering through the front door you enter the lounge/dining area which has air conditioning and gas fired central heating for those cooler winter nights. 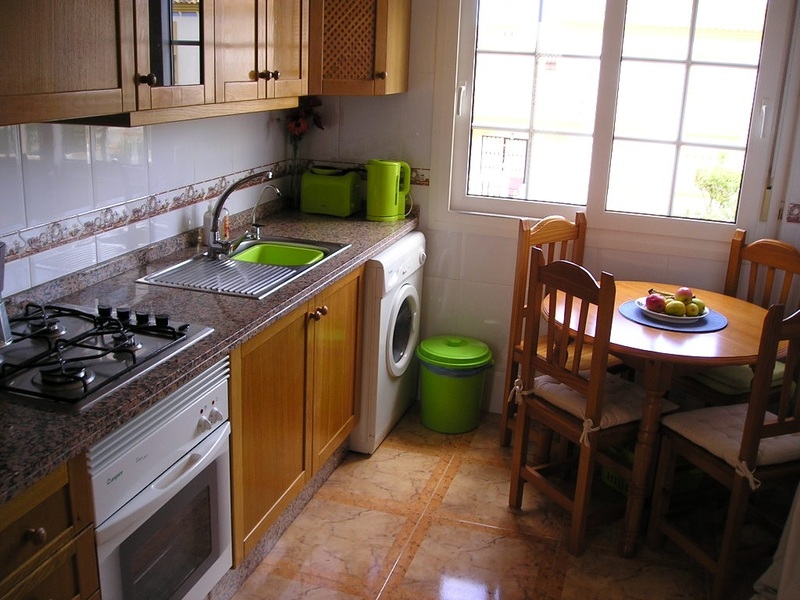 The kitchen is fully equipped with a dishwasher and the utility room houses the washing machine and gas boiler. 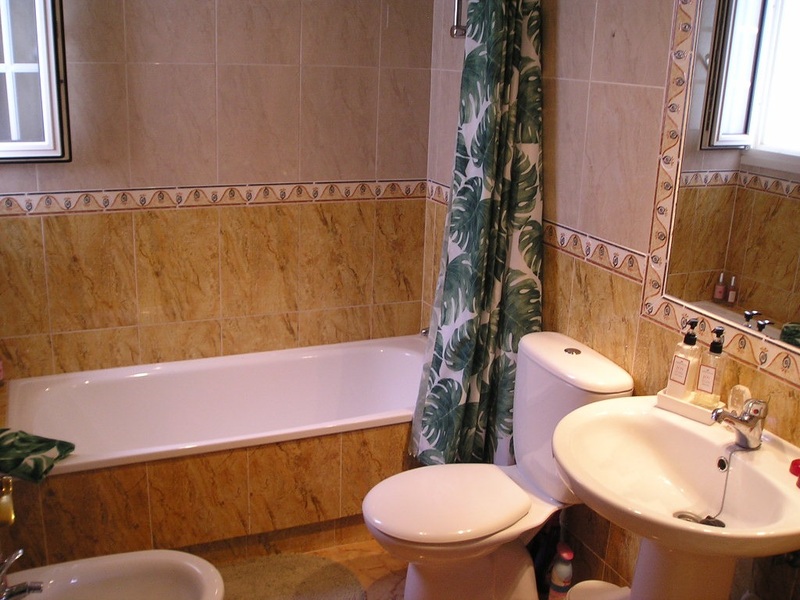 There is also a bathroom with toilet, hand basin and shower on this ground floor. 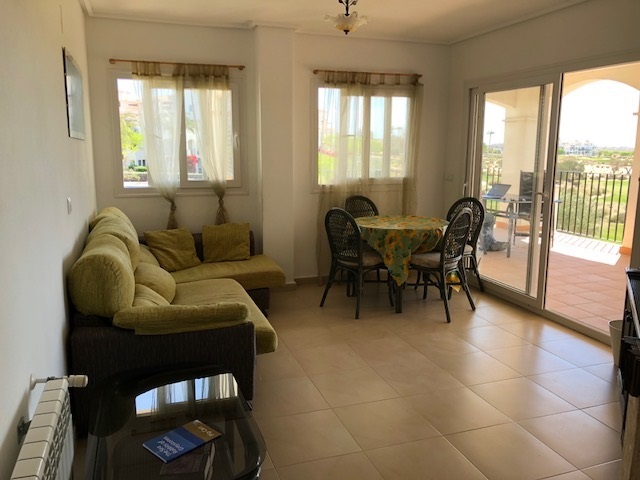 To the front of the lovely furnished lounge are double glass sliding doors leading to a fully tiled patio area and in front of this are the well groomed gardens and superb communal swimming pool.